The summertime is here, and that means it’s time to let down your hair, relax, and enjoy a break from the daily grind. So, would you like to hangout? CraftLife will be hosting a live hangout on Google+ along with fellow crafty podcasters Martine of iMake and Laura of Apocalyptic Diner. We would love for you to join us! How does a relaxed visit with a few friends sound? One of my favorite tools that Google+ offers is the “Hangout”. The Hangout feature allows up to 10 people to join in a video chat, and a fairly recent update now allows that chat to be broadcast in real time! Laura, Martine and I will spend about an hour chatting about all things knitting and craft related, and we’ll also be taking your questions and comments live. AND, you don’t have to be on Google+ to join in. 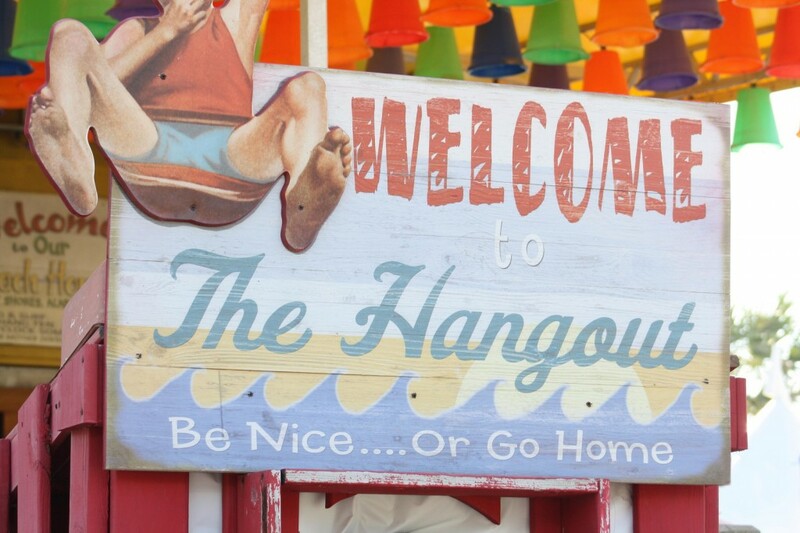 The hangout will take place on Saturday, July 21st at 3:00pm CST. (that’s Texas time) If you do not live in the central US, check out this link to figure out what time that is where you live. Like I said, you don’t have to be on Google+ to take part in the hangout. The hangout will be broadcast on the new CraftLifeInMotion YouTube channel. Just click on that link, and it will take you to the broadcast! There are many ways that you can participate in the hangout. If you’d like to submit questions before the hangout, you can message Martine, Laura or me. You can also post questions or comments in the CraftLife Ravelry Group or iMake Ravelry Group podcaster hangout threads. And, we’re also taking comments/questions via twitter. You can tweet me as @CraftLife, @themarketvegan (Laura), or @iMakeGuernsey (Martine), and use the hashtag #podhangout. We will be keeping an eye on these areas during the broadcast as well, so please feel free to comment during the hangout. Don’t worry if you’re busy during the live broadcast. The video of the hangout will remain on the CraftLifeInMotion You tube channel, and will also be posted on this website, as well as on iMake and Apocalyptic Diner. BUT, we will have special surprises for those of you who are watching and participating live (hint, hint), so be there if you can! One Response to "Hangout With Some of Your Favorite Podcasters – LIVE!"